Update – New Programme Options! A week today, Canoefest 2015 will be well and truly under way – so it’s time for an update! Minor glitches with the system have been ironed out, and bookings and membership renewals have been flooding in – commonly mixing a little of the Core Programme with a few of the Highlight Workshops. Sunday evening’s meal options have been updated to show chicken curry, sweet and sour chicken and vegetable curry – and Dolben Hall’s Chef would like to know which meal you want! If you’re intending to book – please do so ASAP! Sunday’s meal has been reduced to £7.50 – our team will arrange refunds at the event. Amending choices is easy – just get in touch! A core-programme special – an afternoon taster on Leave no Trace for Canoe Camping. An introduction to wooden canoes – with Ian wearing his Seedawood hat. Also new is “Trad” on the Tryweryn – we can’t leave the C-Boaters to have all the fun! This has been in the back of our minds all along – and now it’s confirmed. We’re looking at a very leisurely tour from either Dolben Hall or St Asaph (nearby) to Rhyl – right past the imposing grandeur of Rhuddlan Castle! Core Programme workshop options will be on a first-come, first served basis, bookable during the weekend – but will be revised each day in response to demand. 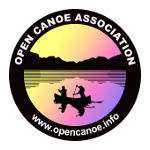 That’s about all for now… except to point out that booking continues on the new website: www.opencanoe.info but get in touch via bookings@canoefest.info if you’d like to know more!